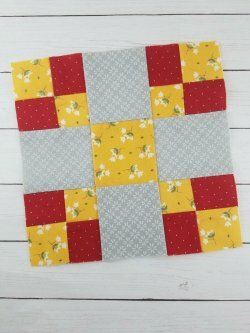 Fabrics in each kit are provided 1/4"-1/2" larger than the instructed cut size. Please starch all fabrics then trim to sizes as noted in each month's instructions. If you make a mistake, we do keep a small scrap bin. Simply bring your mistake into the shop and we will help you with the necessary pieces. If the fabric you need is gone a suitable substitute will be selected by our staff. 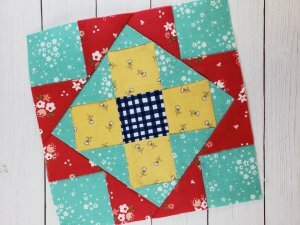 This month, we'll make a total of 10 blocks, all pieced. You'll be putting your 2 1/2" squaring ruler to work! We highly recommend the Bloc-Loc Ruler but any 2 1/2" square ruler will work. 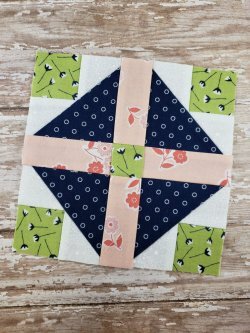 Note Basket Block pattern correction: #3 should read, "Cut the GRAY squares..."
We are officially half way through the mystery block of the month! 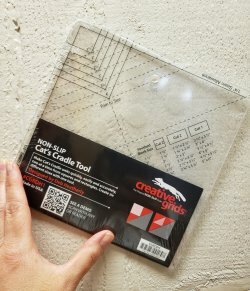 Amy McClellan introduced us to the Cat's Cradle ruler by Creative Grids (available here at the shop). For best results, use this ruler to complete all 10 of this months blocks. Be sure to read through the directions that come with the ruler and save them for future reference. 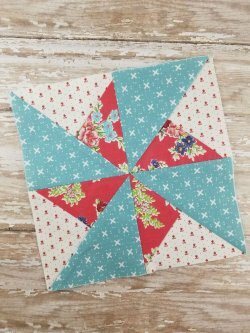 This month's assignment provides an opportunity to practice your paper piecing skills. 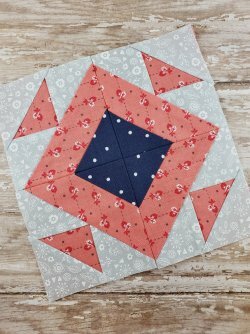 We watched Amy McClellan's paper piecing demo available on her blog at www.underthegardenmoonblog.com. It's a wonderful resource if you need a refresher course. We have small packages of vellum (10 sheets per package) available at the shop for $2.99. 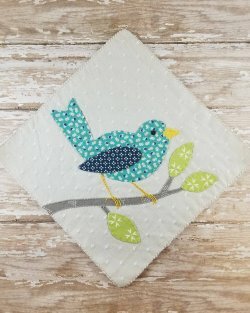 After walking us through the simple piecing instructions for the Variable Star block, Chris Chamberlain shared her favorite method of machine applique for the bird block using a sew-in interfacing and clear mono-poly filament thread. She also showed how she used a satin stitch with a matching thread color for the narrow tree branch. Zoom in on this photo to see the difference. 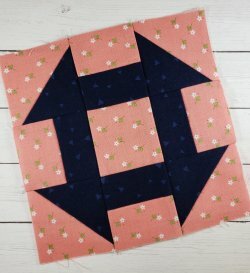 You may, however, choose the applique method of your choice to complete the applique blocks in our mystery quilt. 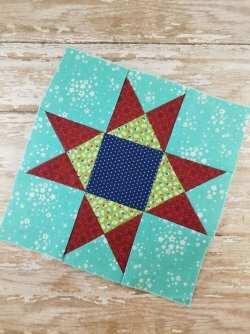 Please note that the green fabric included for the variable star block is intended to be used as the green in all 4 blocks. 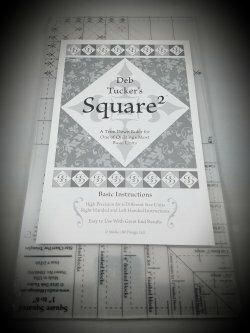 Amy McClellan introduced us to Deb Tucker's Square Squared ruler available at Corn Wagon. 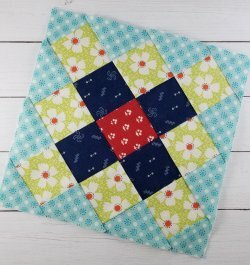 It makes traditional square-in-a-square blocks in six different sizes with precision. 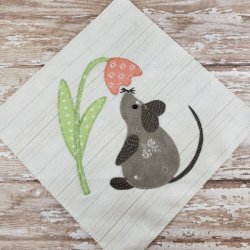 This month's pattern shows you how to make these units with the specialty ruler OR without, however there is an important *correction* to note! *In step #3, if the specialty ruler (shown above) is used, there is no change to the instructions. 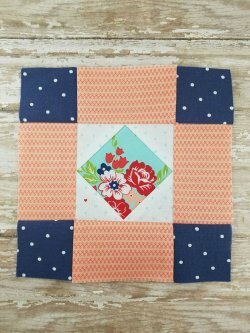 If a regular ruler is used, please trim the squares to 2 5/8" instead of 2 1/8". 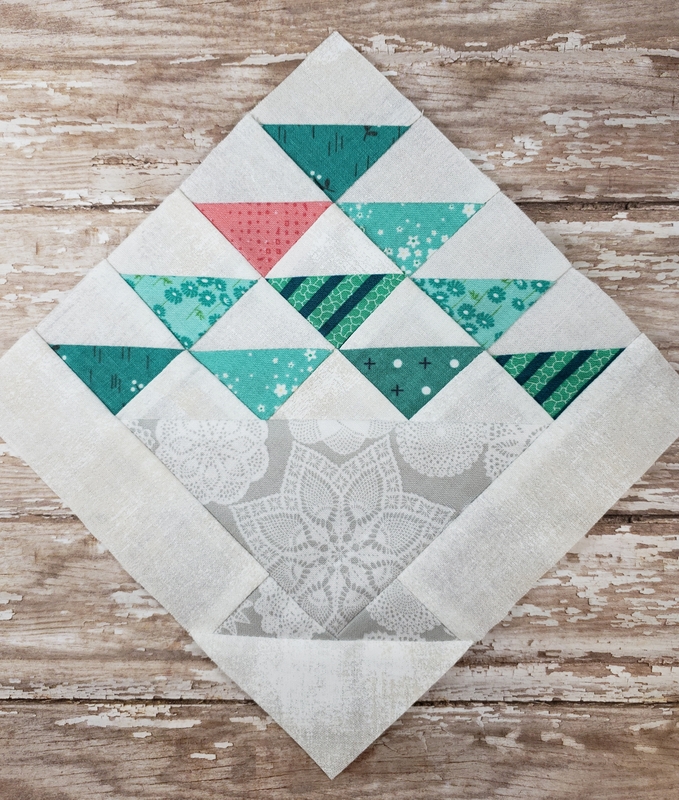 This month we got a small taste of strip piecing as we made four-patch units for each of the blocks. Chris Chamberlain reviewed the importance of proper pressing and taught us how to open up or "pop" our seam intersections, creating less bulk in the center of each four patch. 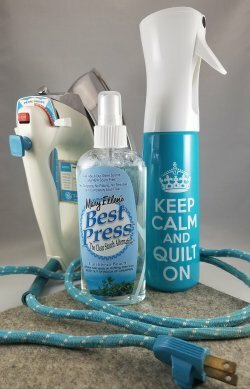 We are still LOVING the new Wooly Felted Wonders pressing mat and are questioning how we ever lived without these new fine-mist, refillable spray bottles! They can be used with water or they are a great way to have more control of your Best Press spray starch. You'll find a variety of spray bottle styles and Best Press fragrances available at the shop. Not shown here, but also available is the new EZ Iron spray bottle holder that easily attaches to your ironing board. We've also found it useful to attach to your sewing table as a cup holder to hold any necessary beverages! 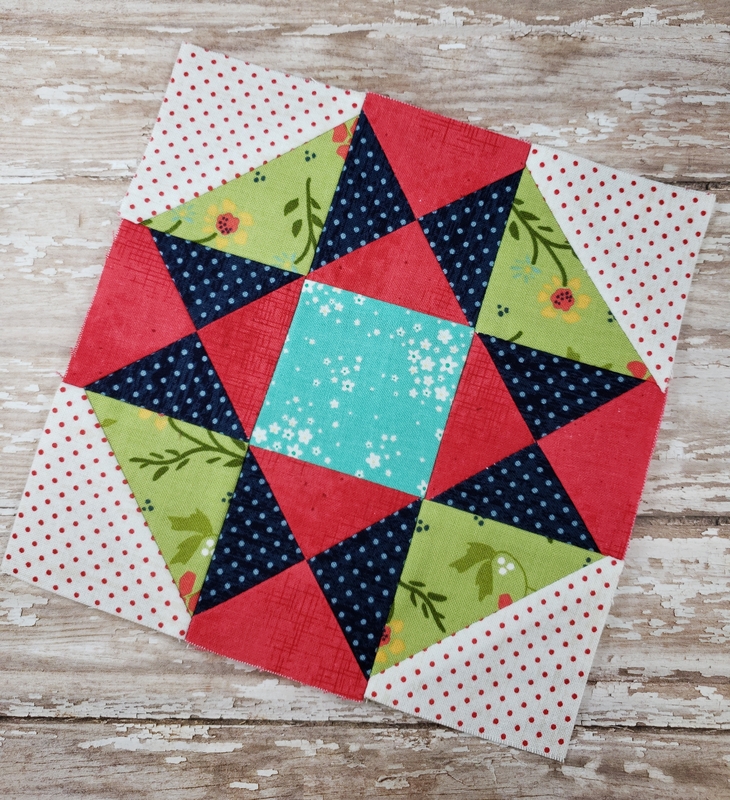 For our first month, Amy McClellan reviewed several piecing basics such as starching your fabrics before cutting, starting with a new rotary blade and using quality thread (we recommend Aurifil color 2310 for this quilt and offer it by the spool or cone). You will definitely need a 3 1/2" square ruler. 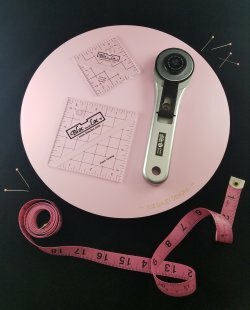 We highly recommend the bloc-loc ruler and love using it with Sue Daley's rotating cutting mat both available at Corn Wagon! Please note: by paying the registration fee online, you agree that you understand and will adhere to the Saturday Sampler rules as outlined here below. No exceptions will be made. Please read through carefully. For shipping arrangements, please call the shop 801-491-3551. -$40 non-refundable sign-up fee must be paid at time of registration. 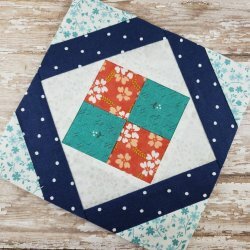 -This Saturday Sampler (SS) begins Aug. 4th 2018. 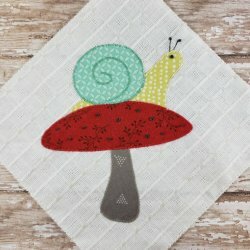 -You will not see the finished quilt until July 2019. -SS is always held on the 1st Saturday of each month. -Doors open at 9:00 a.m. and close at 5:00 p.m.
-First Demo begins at 9:15 a.m.
-8 repeating demos will be held at 15 min after & 15 minutes before the hour, throughout the morning. -Last demo begins at 12:45. -Attending a demo is not mandatory. 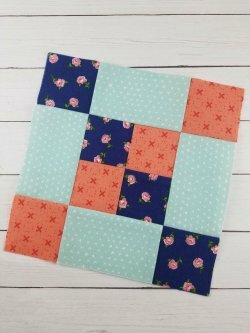 However, if YOU personally come into the shop the 1st Saturday of each month to pick up your kit AND bring your last month’s blocks to show us you finished your monthly assignment, your current month's kit will be FREE! 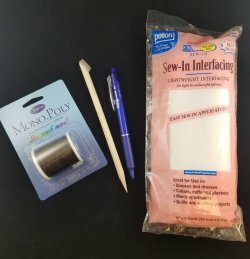 Otherwise, monthly kits are $5.50 each. 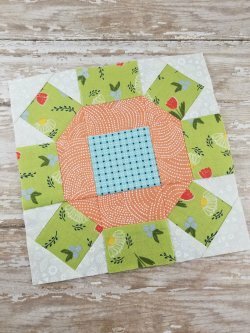 -SS patterns are not meant to be shared with anyone who is not enrolled in this SS. 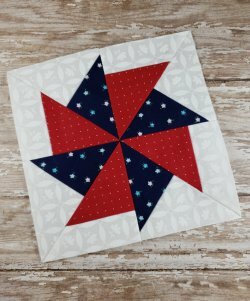 They are copyrighted and will be published as a purchasable pattern after July 2019. 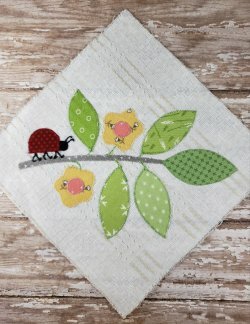 The quilt is an original design created by Amy McClellan specifically for this Sampler Club. -If you miss SS for two consecutive months, we will assume that you have dropped out and someone from our waiting list will take your place. Your $40 sign-up fee will be forfeited. -There will be times when you will need to pay $5.50. They are listed below*. You will never pay more than $5.50 a month even if several reasons apply to you. Please don’t ask our employees to make any exceptions. * You will pay $5.50 if you do not complete your assignment from the previous month. * You will pay $5.50 if you send someone else in your place. * You will pay $5.50 if you miss SS for any reason. 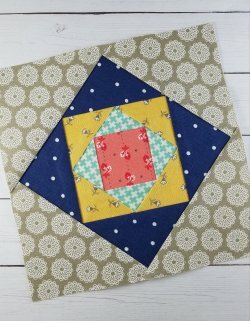 * You will pay $5.50 if you don’t bring your completed blocks with you and show them to us. * You will pay 5.50 if we ship your kits to you monthly. Shipping fees apply. Please contact the shop to make shipping arrangements. We are happy to have you in on the fun and look forward to seeing you soon! 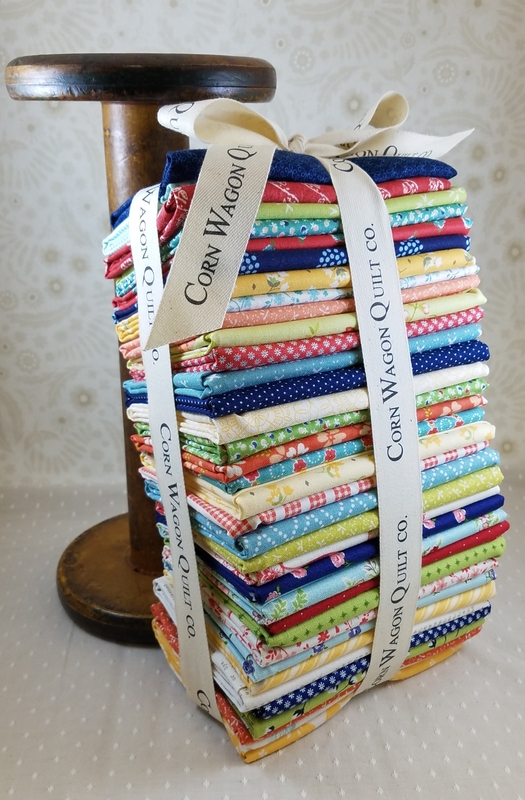 ~ Marsha & the girls at Corn Wagon Quilt Co.
Amy McClellan of Under the Garden Moon and the gals at Corn Wagon Quilt Co.